If you’re in the market for a new garage door, you may feel a bit overwhelmed at all the materials, styles and colors to choose from. However, when it comes to price, durability and security, there are some types of garage door which are clearly at the front of the pack. Let’s learn all about the benefits of steel garage doors and why this could be a great choice for your home. Garage doors have to withstand a lot of abuse. For one thing, they take up a wide section of space on your home, and are opened and closed multiple times a day. They’re also constantly exposed to the outside world – sun, wind, rain, hail and extreme temperatures. Wooden doors may become moldy or cracked, and aluminum doors may rust and dent, but a steel garage door is tough and will look the same as the day you bought it, years down the line. Rust is a big problem for some metal garage doors, and one that usually requires expensive repair or replacement work. A steel garage door is resistant to rust damage, and will last a long time. 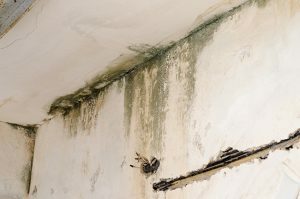 As with all of your home’s openings to the outside, water damage is a big deal that you need protection from. A garage door opens wide and is potentially a major source of rainwater seeping into the garage and all over the unit. Steel may not be the first thing on your mind when you think of adding something unique and stylish to your garage, but a steel garage door can actually be customized to your exact specifications. Besides coming in every color imaginable, you can shop for unique and realistic textured finishes, panels, windows and other elements in order to combine steel’s toughness with the beautiful and upscale look you desire for your home. By raising your curb appeal with an attractive custom steel garage door, not only will you feel satisfied every time you come home, if you ever decide to sell, it’ll be a big plus for a possible buyer. 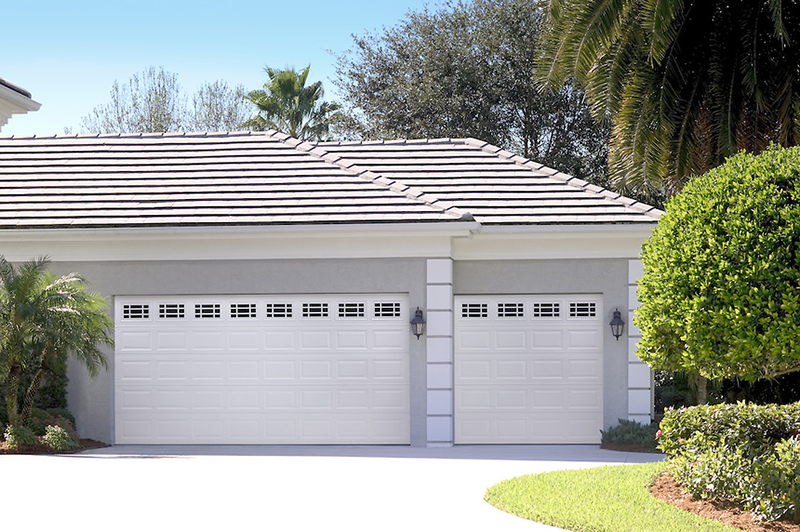 Compared to other garage door materials, steel is significantly less expensive. While customized doors with windows, panels or other extras will definitely cost more than a simple pre-made unit, even a top of the line steel garage door will cost a lot less than a fancy custom wooden door. 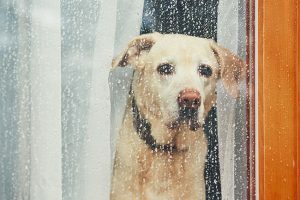 With most garage doors, you have to sit on the edge of your seat a bit during a storm, hoping you won’t emerge later to find dents and dings on everything. Steel garage doors are a little tougher than other models, and can resist that kind of wear and tear. Many homeowners have also been thankful for a durable steel garage door when the time comes to teach their teens how to drive – starting with pulling in and out of the garage! One of the best things about steel garage doors is that they don’t require babysitting. Once they’re installed, they’re good to go. They usually don’t require repainting, and short of a natural disaster, they shouldn’t need any major repairs. 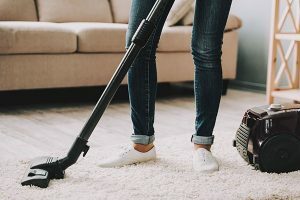 However, to keep them looking their best, we do recommend washing them once a year with a cup of gentle cleansing solution mixed into a five gallon bucket of clean warm water. This is great for both the interior and exterior portions of the door, and while you’re cleaning the inside you can take a quick look at the springs, rollers and other components of the unit to make sure nothing is broken or warped. With the rising costs of heating and cooling, energy efficiency is on everyone’s mind. Since the garage door is the biggest opening to your house, it makes sense that we would try to limit the amount of air that passes through. If your garage is attached (and especially if you have a room overhead! ), a poorly insulated garage door can make you hot in the summer and cold in the winter and you’ll wave goodbye to your utility bill money. You can get a well insulated steel garage door that not only keeps your house comfortable and lowers costs, but also reduces sound transmission into the house from the outdoors. After a few years have gone by, you may even find that the energy savings accumulated come to even more than the cost of installing the door. Did you know that 9% of residential burglars entered the home through the garage? With an old door or a wooden door, it’s easier for an intruder to find a weak spot and break their way in, but with a steel garage door they’ll have to try their luck somewhere else. When it comes to the security of your home, it’s best to not leave anything to chance and use the most tamper-resistant materials for doors and windows. When it comes to doing your part for the environment, steel is a more responsible material choice for a garage door. 80-100% of the steel construction is from recycled sources, and someday if you ever decide to get rid of it, you can recycle it again. With a wooden door, you don’t know where trees may have been cut down to build it, and when you’re through with it, it’ll end up sitting in a landfill somewhere. If you’re ready to take the plunge and start looking at steel garage doors, the first place to start is on garage door manufacturer’s websites. Whether you purchase from one or not, many of these sites feature tools where you can superimpose garage doors over a photo of your garage, so you can see what color and style would look best. Next, be sure to get an in-person estimate from a representative of your garage door installation company. They should be able to advise you on styles, take measurements, and give you a very close idea of what you will pay for the door, the installation and any supplies or extras needed. Finally, be sure to read the fine print and obtain a warranty that covers repairs and replacements for at least a few years. 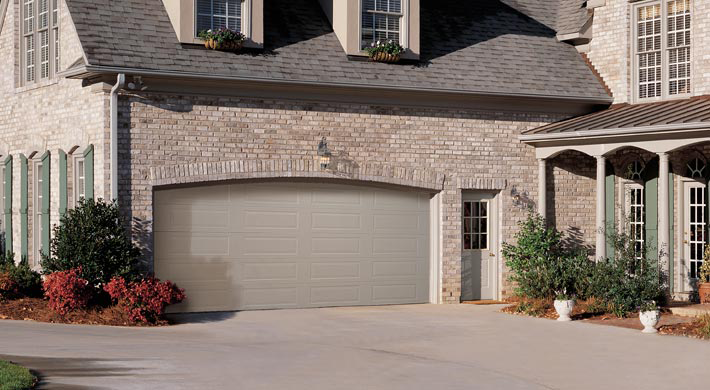 The benefits of steel garage doors are clear – they’re affordable, durable, and can even enhance your garage’s curb appeal. After selecting a reputable garage door installation service, the most difficult part of your job will be deciding on the perfect color for your new garage door. 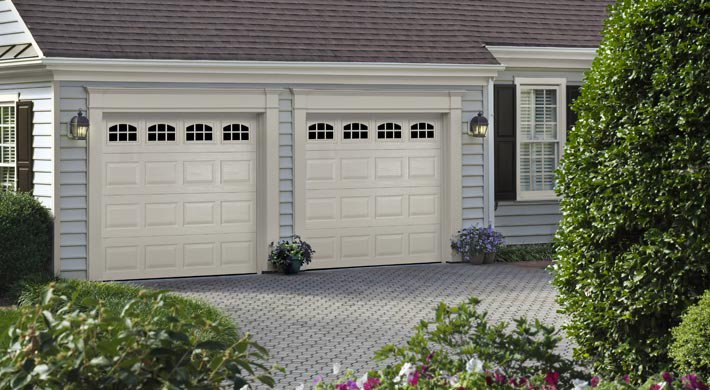 For the best garage doors in Springfield, IL, homeowners trust Feldco to get the job done. Our insulated steel garage doors are built to withstand anything thrown their way. Plus, our installers are factory trained and certified so you’ll have the peace of mind knowing your garage door will be installed correctly. We’ve served over 350,000 homeowners across the Midwest and would love to help you with your next project – get a free quote now!